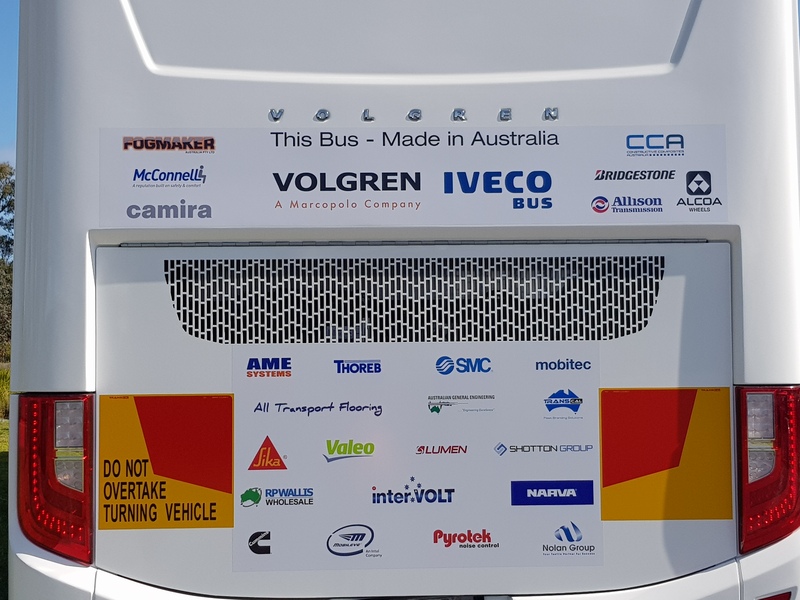 Some of the country’s leading bus manufacturers and suppliers have once again donated their time, expertise and materials for the annual BIC Auction Bus. 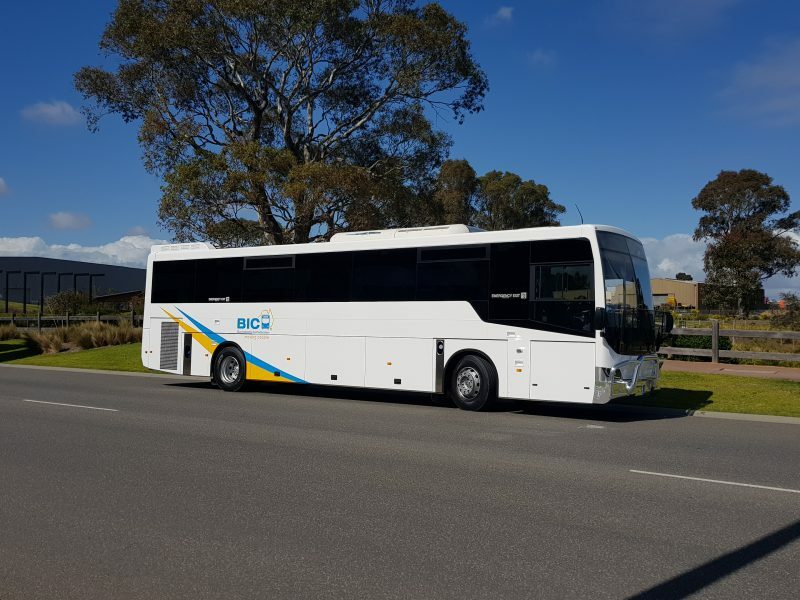 A highlight of the BIC Australasian Bus Conference, this year’s vehicle, a 12.5-metre school bus, will go under the hammer on Wednesday during the Big Arvo Out Bus Auction event in Cairns. With all proceeds going to BIC, auction organisers are encouraging operators and would-be bidders to dig deep as they attempt to surpass last year’s auction figure of $375,000. Iveco Bus National Manager Steve Heanes said this year’s auction will be the 13th time that the bus industry has combined to produce an Auction Bus. “This year we had 28 organisations very generously donating their time and efforts and the end product is a perfectly turned out 57-seat school bus that’s fully TfNSW compliant,” Steve said. The aluminium-bodied Volgren Endura school bus on an Iveco Delta Graduate chassis is powered by a 320hp Cummins E5 engine and Allison transmission. The bus includes lift up access and wheel arch panels, 2/3 seat belted configuration, polished aluminium bull bar, air-conditioning system, alloy wheels, electric mirrors, fire suppression, electronic destination, CCTV, DVD and reversing camera. 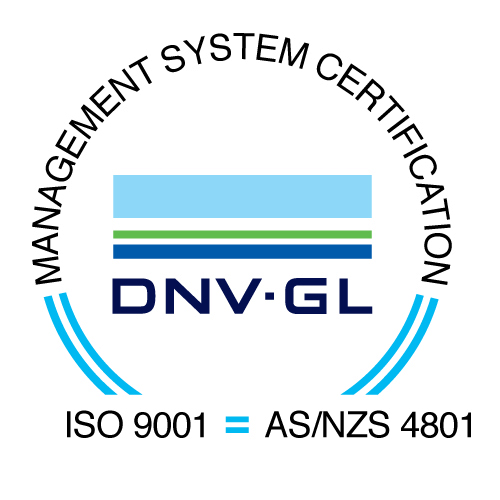 The bus was assembled at Volgren’s Dandenong manufacturing facility, taking eight weeks to build from chassis to completion. Volgren CEO Peter Dale said the difference between the bus auction sale price and the actual cost of building the bus would go to BIC to assist in industry advocacy efforts. “The goal is more funded services, more buses on the road and greater business opportunities for operators and manufacturers,” Dale said. 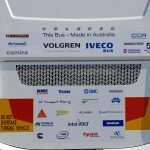 The BIC Auction Bus wouldn’t be possible without the generous support of the following companies: Iveco Bus, Volgren, McConell Seats Australia, Firestorm Fire Protection, Constructive Composites Australia, Camira Group, Alcoa Wheel Products Australia, Bridgestone/Bandag, Allison Transmission, AME Systems, Hilton Manufacturing, SMC Pneumatics Australia, Australian General Engineering, Mobitec Australia, Cummins Engine Company, Transcal Signage, Thoreb Australia, All Transport Flooring, Mobileye, Sika Australia, Spheros, The Shotton Group, Lumen Australia, R P Wallis Wholesale, Anything Electronic (NZ), InterVOLT, Brown & Watson International (Narva) and Nolan Uda.